Compact angular mass with convex front and concave base. 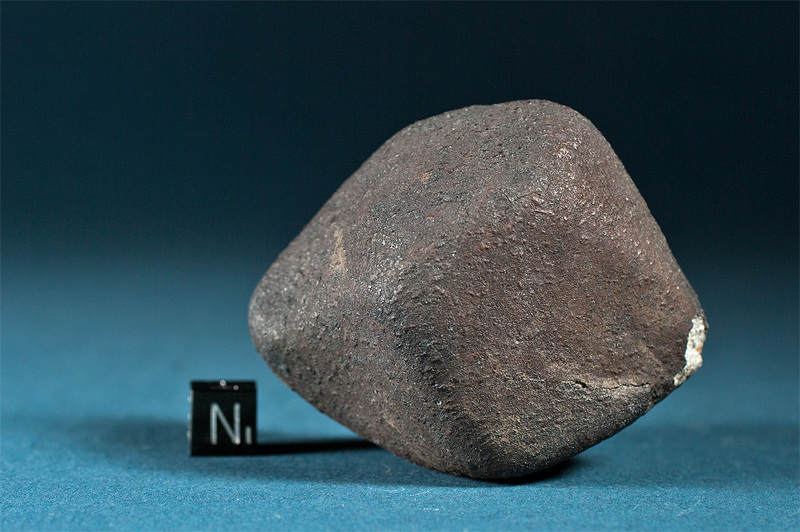 Apart from a 5 mm chip the 187 g meteorite is completely coated with a rich black fusion crust, which on one surface shows a brownish hue. 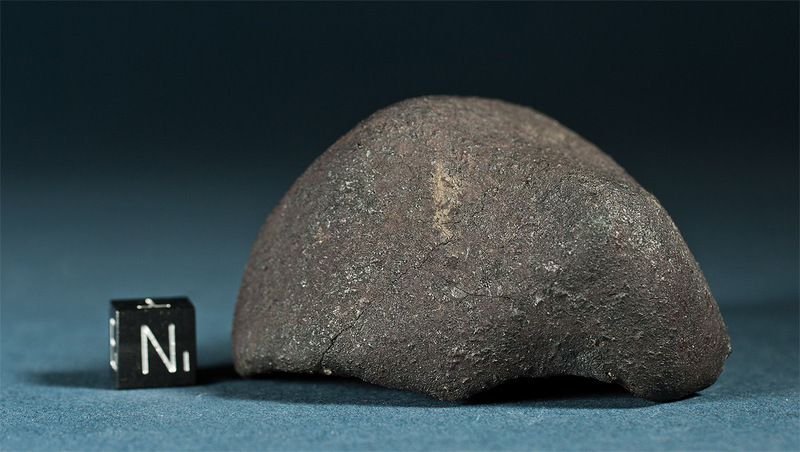 Buzzard Coulee fell as a meteorite shower after a bright fireball was observed across Alberta, Saskatchewan and Manitoba on the evening of November 20, 2008. The fireball and subsequent dust trail were recorded by several all-sky and security video cameras. This footage as well as interviews of eyewitnesses constrained the fall region and led to the first meteorites being recovered off the ice of a manmade pond seven days after the fall. At least several hundred specimens were recovered in 2008 and 2009, the largest pieces weighing 13 kg, 6.99 kg and 1.3 kg respectively. The pictured specimen weighs 187 g and was found on April 16, 2009.